Brooklyn gentrification has reached a curious impasse — the Gowanus Canal. 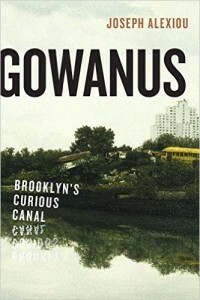 The Gowanus is also pivotal to the history of Brooklyn — and all of New York City — as enjoyably laid out by author Joseph Alexiou in his new book Gowanus: Brooklyn’s Curious Canal. 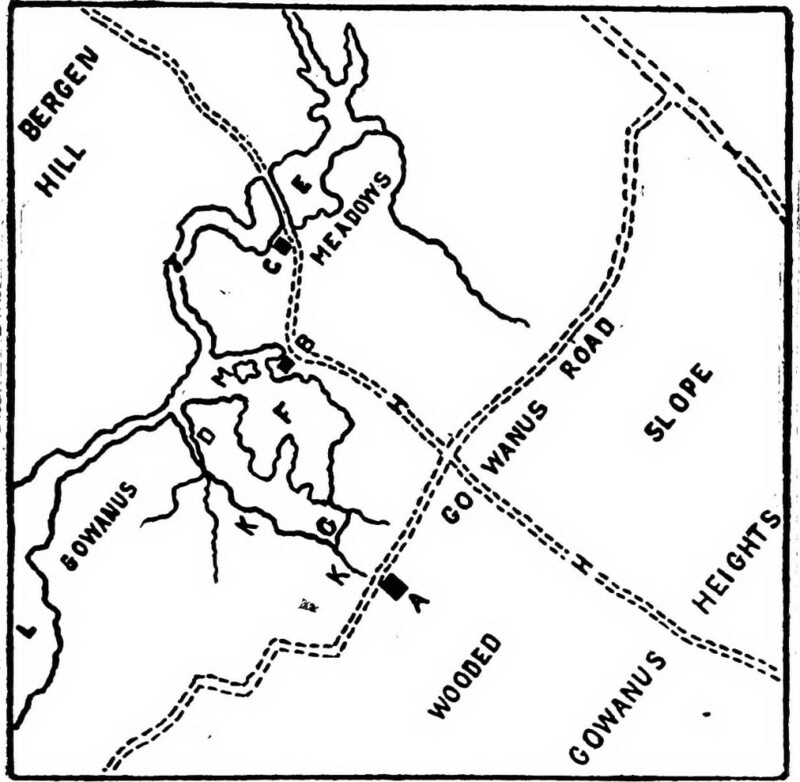 The shores of Gowanus Creek have been critical to Brooklyn’s growth since the early Dutch days. Its story is surprisingly thrilling and robust, from the bloody Revolutionary War battle fought on its shores to its transformation into an artery for industry. Residents have struggled with the Gowanus’ toxic qualities — both in the water itself and the criminal life it seems to regularly attract — for over a century and a half. I wish there was a book like this for every foul, troublesome thing in New York. Gowanus feels like a biography with an engaging protagonist — plucked from innocence and slowly corrupted — that you want to help save by the end. Greg Young: What’s your particular connection to the Gowanus? How did you decide to develop this as a book subject? Joseph Alexiou: I lived in Gowanus from 2006–2011, and happened upon the canal quite by accident, but it was love at first sight. I spent several years in the neighborhood before making my foray into freelance writing, when I realized the area was a goldmine of funny stories and and weird characters. The pollution was also so extreme and kind of surprising, which I learned about thanks to the appearance of Sludgie the Whale in 2007. Eventually, I ended up in journalism school, where my obsessions and nerdish love of history became the subject for a book proposal class. GY: Since your book is really arranged like a biography of the Gowanus, what would say has been its personality over the decades? JA: The Gowanus has always been stubborn and dependable, and muddy. Definitely thoughtful— a calm, earthly reminder of the powers of nature with that occasional tendency to overflow. But the beginning it was a lot more crunchy and pastoral, full of wildlife and pleasant breezes. 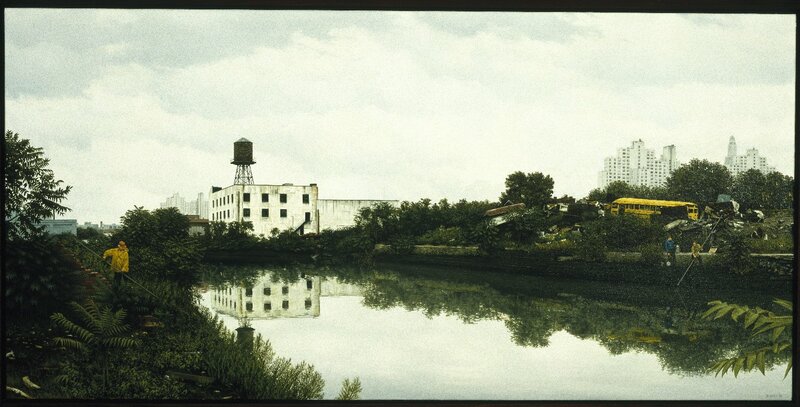 But as industry arrived, the Gowanus became stinky, smelly, exciting and unsavory—perhaps just a little bit dangerous. The foreboding sense of doom was its personality for a long time. But with the dynamic nature of cities and waterways, that grittiness is evolving yet again. GY: Were you surprised to find how important the Gowanus has been to the overall history of Brooklyn? It seems like its story reflects many of the changes that have happening to the city (and borough) over the decades? 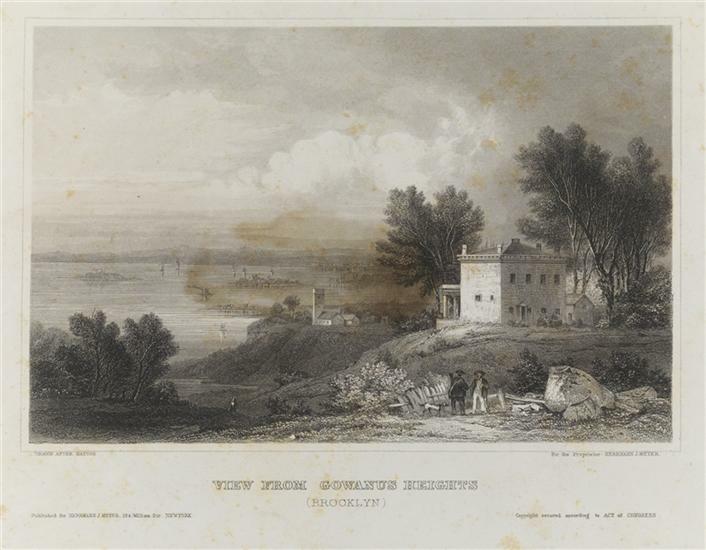 JA: When I discovered that the name “Gowanus” appeared in some of the oldest documented history of New York—dating back to 1636—that’s how I knew there was a particular history to be told. It was a surprise, but also a relief when I discovered how often the name “Gowanus” appeared across newspaper pages and old documents, once I had started really researching the book. So many people used it for business, pleasure, crossed its banks, complained about the traffic, fell into it! It’s a really unique kind of New York waterway—naturally occurring, then industrialized, then neglected. It’s difficult to move and get around, and often caused much trouble because of the flooding. So many people have invested in it, cursed it, pondered its existence, and written about Gowanus throughout history because it was weird and offbeat, a wrinkle in the map. That proved to be quite a boon, and a great vantage point from which to observe the history of Brooklyn. GY: Is there anything truly ‘natural’ about the Gowanus anymore? I confess to strolling around it sometimes, trying to picture it as a natural body of water. Is there anything about it at all that remotely resembles the creek that you introduce us to at the beginning? JA: Well, the rise and fall of the tide is one of the remaining original aspects of the canal. There’s no real wetland left around the canal, although if the walls were knocked down it would start to rebuild itself. Perhaps I should give a nod to little snippets of nature that pop up at street ends (Second Avenue comes to mind) that sort of mimic the original landscape. But imagination is helpful! GY: The community has a fondness and love for the Gowanus, even considering the health concerns that have vexed it for decades. What do you think is the specific appeal to living near here? JA: For a very long time it was simply that it didn’t cost very much. But lately, for the more visually-minded, the neighborhood has a unique shape apart from the grid. The industrial architecture, bridges, funny signs, graffiti—all of this gives the neighborhood great character and personality. A soaring warehouse building or an unusual edifice gives a break from the monotony of endless streets. It’s very Jane Jacobsian, but strange breaks in the city grid, or old buildings repurposed, allow for newly creative use and exploration. This particular appeal has long existed in contemporary Gowanus. GY: Your book explores the struggles to clean up the Gowanus over the decades. There’s obviously a great urgency now due to the residential boom in the neighborhood. Do you think it’s really possible to rehabilitate the Gowanus at this point, at least in a cost effective way? Do you think it will ever be considered ‘safe’ in our lifetimes? JA: “Safe” is a relative term, and within the next two decades I do believe it will become much cleaner, and safer. I don’t know if the canal will ever be swimmable though, as raw sewage will always be in danger of spilling into the water (albeit much less than now, if the EPA plans go accordingly)—some problems are just too immense to totally solve. GY: And, out of concern for your safety – just how much time did you actually have to spend near the Gowanus itself? God forbid you didn’t actually go anywhere close to the water?! JA: I’ve been down to the Gowanus quite a bit, and gone out on a boat, no less than three times! I can’t say I felt totally safe during any of the voyages, but it was exhilarating! It’s a fantastic and totally unique way of seeing Brooklyn, and the city!